Unfortunately when it comes to workout routines, some exercises are just horrible when compared to others. Some exercises do more harm than good, a lot of these exercises you probably see regularly performed by others at the gym. This is especially true when the user doesn’t know how to execute proper form or lifts more than they can. You don’t want to be the guy at the gym who tries to rack the fly machine and ends up tearing their bicep. Lifting much more weight than you usually do or think you are capable of usually ends in a bad result, so use common sense before you hurt yourself. Surgery and rehab are expensive, time consuming and painful. We definitely want to avoid these at all costs. Extension exercises are ones we want to avoid for a number of reasons. First and foremost they usually accomplish the same thing that another exercise can, without the risk factors involved. Extension exercises put a lot of stress on joints, and make the user more prone to injury by performing these exercises. For example triceps extensions put a lot of strain on the elbow, because the weight is held far from the body, putting additional stress on the joint. The same thing can be accomplished with an alternative exercise like a close grip bench, which keeps the weight closer to the body, reducing the strain on the elbow. The same thing can be said for leg extensions, which put unnecessary strain on the knees and lower back because this exercise is performed sitting down, partially laying on the back. This additional load or stress on your back as a result of the way this machine is designed can and does result in slipped discs, and herniated back. You can get the same results as you do from leg extensions from other exercises that don’t put your back and knees at risk like extensions do. These include kettle bell squats, lunges, and calf raises. This exercise is arguably the dumbest one I see people performing at the gym. Performing this exercise by pulling the bar behind your head instead of in front while performing a lat pulldown provides no additional benefits while putting yourself at additional risk. When you perform this exercise behind your head, you are putting rotating your shoulders forward in to a very unnatural position. This puts unnecessary stress on the shoulder, which is already arguably the weakest joint in the body. Performing this exercise behind the head promotes joint instability and hyper mobility which could result in a dislocation or torn ligaments. The smith machine is notorious for causing injury to those who use it. The smith machine is beneficial in that the need for a spotter is eliminated, but also can only be used in a fixed path. Performing an exercise in a fixed path reduces your body’s range of motion which means more unnatural movement. Your body will compromise to account for this lack of mobility, and the back suffers the most as a result. In addition to this, the fixed path of the smith machine means that the muscles that stabilize your body aren’t being engaged like your hip flexors for example. High risk coupled with less muscle group engagement per exercise makes the Smith machine one to avoid. Upright rows where the user stands straight up, forces the shoulders to move in an unnatural position away from the body. 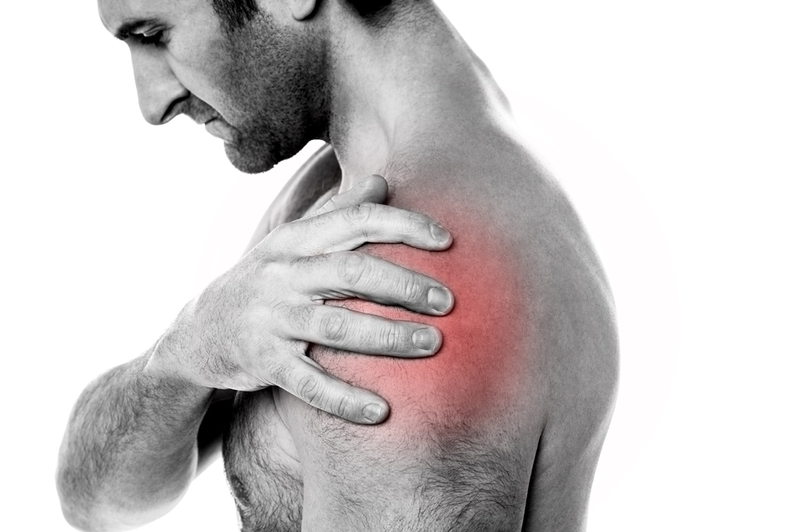 This causes more force and stress on the shoulder, and as we know the shoulder is a very weak joint to begin with. In addition to extra stress on the shoulder joint, the awkward way in which the bar is held during this exercise also puts the wrists in an unnatural compromising position. This in turn also makes the wrist more prone to injury during this exercise as well. This is another exercise that can be eliminated from your workout routine and replaced with one very similar, bent over rows. The exercise is performed in the same fashion in bent over rows as standing rows, just in a better position that does not compromise the shoulder joint.